Congratulations to Armando and Long Live Beerworks! Read Rhode Island Monthly’s recent article about Beerworks. We take an immense amount of pride in our craft beer selection, which is locally focused and supportive of the craft beer scene that is blossoming in Rhode Island. On Tuesdays between 5-9PM, we offer a $3 craft beer selection for our customers; along with six select bar bite appetizers for $6 each. Please follow our Facebook or GoingOut.com page for more information on date-specific beer related events such as beer tastings, tap takeovers, and giveaways. Mondays are not just for missing the weekend anymore, come celebrate a new week with us. Rogue Island has an extensive selection of craft spirits from nano and micro-distilleries from New England and New York. Our bartenders mix up a prohibition era cocktail menu using freshly squeezed juices, handcrafted syrups, and locally grown herbs. On Mondays, we offer $7 prohibition cocktail specials. Between 5-9PM, the restaurant features six select bar bite appetizers for $6 each. Community event, all ages welcome, no admission. Rogue Island invites you and your special someone to get out of the house and spend an evening of romance over a three course meal that is sure to set sparks flying. Call now to make your reservation, 401.831.3733. Rogue Island Local Kitchen & Bar will be opening for breakfast and lunch starting Thursday January 2, 2014. We will begin serving breakfast weekdays at 7AM, with weekend brunch service starting at 8AM. Our lunch menu will begin at 11AM on weekdays. Rogue Island Local Kitchen & Bar offers a contemporary menu inspired by the produce, protein, and people of Rhode Island. Our highly seasonal menu is chef-driven and sourced exclusively from nearby farms, often within only 50 to 60 miles of the restaurant. 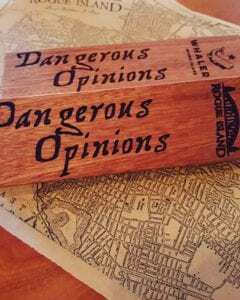 The craft beer, wine, and spirits offerings are carefully selected from micro and nano breweries, vineyards, and distilleries primarily located in southern New England. 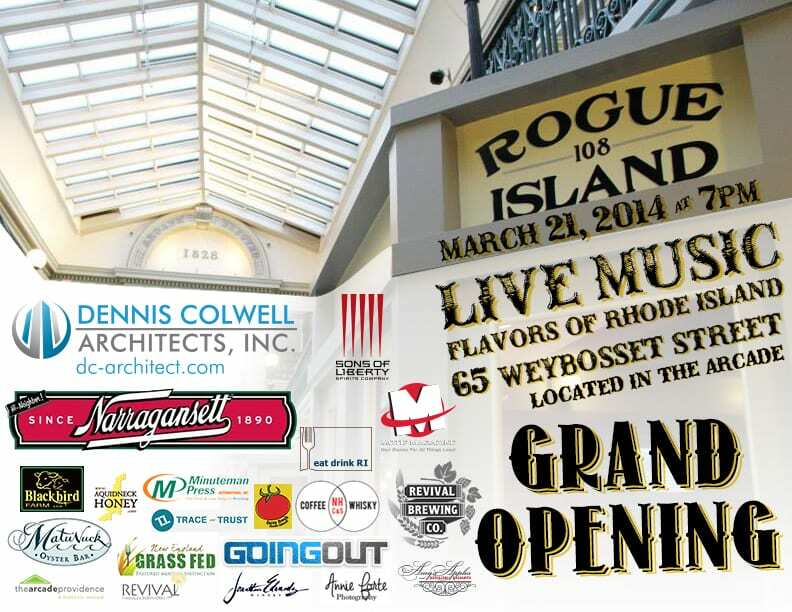 Rogue Island is located within America’s oldest shopping mall, The Arcade, at 65 Weybosset Street in the Financial District of Providence, RI. The decor of Rogue Island is industrial and sustainable in nature. Our construction team was able to source our reclaimed and old growth wood from early 20th century Rhode Island barns, and our tables and bartop were handcrafted in Coventry. Our bar, rail, and draft system metalwork was custom made by welders and craftspeople in Cumberland, Cranston, and Providence. We made every effort to utilize the original materials of The Arcade; customers will see restored brick, repurposed foundation stone, and exposed timber as accents in our space. While we are putting the final touches on the restaurant we hope for you are ready for a little sneak peak.